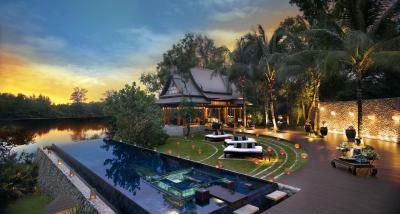 Lock in a great price for Double Pool Villas by Banyan Tree – rated 8.8 by recent guests! The two-bedroom villa was impeccably decorated and the staff were amazingly hospitable. Spa therapists were very caring and knowledgeable about spa products and services; and staff of kids club were very attentive and helpful. The Villa host was amazing, the Villa was so big with great swimming pool, loved the design of the villa, loved the complimentary minibar and snacks, daily ice cream and mocktails. Die Villa und der Pool war ein Traum. Wir hatten sehr erholsame Urlaubstage und kommen garantiert wieder! Unser Butler Art war einfach Klasse. Er hat sich um alles gekümmert und man hat gespürt, dass es ihm wichtig war das es uns gut ging. Wir kommen garantiert wieder. Onze butler was uitermate goed, villa was schitterend, Fantastische plek om te ontspannen. 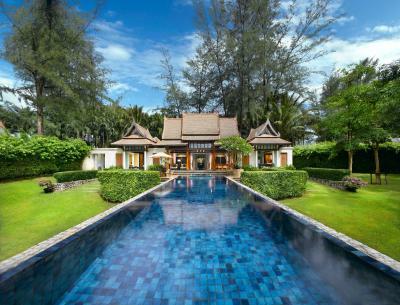 Double Pool Villas by Banyan Tree This rating is a reflection of how the property compares to the industry standard when it comes to price, facilities and services available. It's based on a self-evaluation by the property. Use this rating to help choose your stay! Featuring a world-class spa and golf course, the luxurious Double Pool Villas by Banyan Tree enjoys a peaceful spot by the beautiful lagoons of Bang Tao Bay. 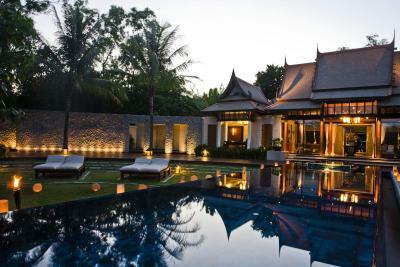 Housed in low-rise Thai buildings, the luxurious villas all come with a 24-hour villa host and private pools. Fitted with free Wi-Fi, the elegant air-conditioned villas feature glass floor-to-ceiling windows with views of the landscaped grounds. The large living room comes with a flat-screen TV and DVD player. It opens up to an outdoor terrace with a dining area. 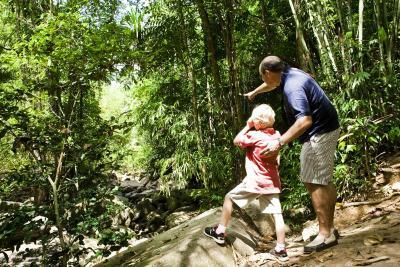 Double Pool Villas by Banyan Tree is a 20-minute drive from Phuket International Airport, Patong Beach and Phuket Town. Free parking is available on-site. Banyan Tree Spa uses ancient Asian methods to provide relaxing massage and other beauty treatments. 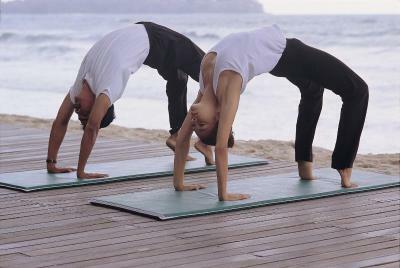 For a good workout, guests can practice yoga, visit the gym or play a game of tennis. There is also an on-site shopping arcade and a library. Breakfast is made to order and served in the villa daily. 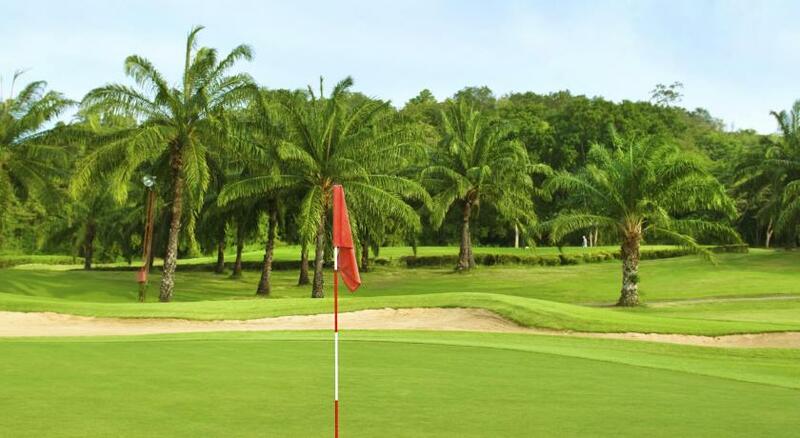 The villa host can also arrange for barbecue parties and cooking classes. Alternatively, Tre restaurant offers creative French-Vietnamese dishes. When would you like to stay at Double Pool Villas by Banyan Tree? This spacious tropical villa features private grounds, an infinity pool, a jet pool and a wading pool. A wine fridge, day bed and walk-in closet are included. The large bathrooms have a bathtub, steam room and walk-in shower. This spacious 2-bedroom villa sprawls over 16,150 ft² of space, including private gardens, an infinity pool, a jet pool and a wading pool. A wine fridge, day bed and walk-in closet are included. The large bathrooms have a bathtub, steam room and walk-in shower. The one-of-a-kind villa is bordered by tropical gardens. It is the venue for a special treat and an exclusive party.The outdoor, 360 degree glass sala offers the ultimate dining and entertainment experience. The floating master bedroom features wading pool. 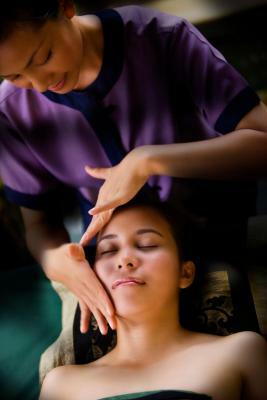 In-villa massage provide rejuvenation experience. Room size 2500 square yards. This villa has a seating area, bathrobe and tea/coffee maker. This villa features a private entrance, air conditioning and view. This villa has a balcony, sofa and dining area. DoublePool Villas by Banyan Tree, is an enchanting luxurious shelter, with Thai hospitality redefined with the services of your dedicated butler or villa host ensuring an all-hassle-free holiday. Custom-built for two, three and up to six in 3 bedroom DoublePool Villa, the floating bedroom pavilion of every master suite leads to a private wading pool allowing direct access from the foot of your bed. Mornings are made perfect with expertly delivered in-villa breakfasts, afternoons, a delight with the arrival of the ice cream boy and finale of the daily evening rituals, will make this celebrated retreat truly your private resort. House Rules Double Pool Villas by Banyan Tree takes special requests – add in the next step! Double Pool Villas by Banyan Tree accepts these cards and reserves the right to temporarily hold an amount prior to arrival. Please note that the property is currently undergoing upgrade and expansion works from July 2018 to October 2019 (excluding the period from 23 December 2018 to 9 January 2019). The works will be carried out daily between 09:00 hrs. and 18:00 hrs. During this period, guests may experience some disturbances. Please kindly note that all the outlets and resort facilities will be operated as normal. For more information, please contact the property directly. - The gym and restaurants of the Hotel are very boring. - No private beach. They have a public beach which is 5 minutes away and nothing special about it, except that there aren't many outside people there.